High school graduation season was marked by a good news story this year. Ontario’s province-wide graduation rate reached an all-time high, with nearly 80 per cent of students finishing high school in four years. But while there’s reason to celebrate, that number also belies a persistent and troubling reality. Kids from minority groups, and Black boys in particular, are still disproportionately likely to drop out before graduation. It is essential that Ontario’s Ministry of Education and school boards across the province close the gaps between those students and their more privileged classmates. That means ending or adjusting practices that disproportionately disadvantage minority students, and increasing programs that support students in need. School should be an equalizing force, where every child has the same opportunity to learn and graduates with the same chance for success. But in too many cases Ontario schools seem actually to compound disparities for young members of minority populations. A York University report released this year found that Black students in the GTA are more than twice as likely to have been suspended from school at some point, as compared to their non-Black classmates. Black students are two times more likely to be enrolled in applied courses, instead of the “academic” ones that set kids on a path to university. This process, known as “streaming,” contributes to Black students feeling stifled and “gradually worn down” at school, the report said. Last year, Black male students in the Peel District School Board told a focus group they had been left out of social situations, heard racist comments from classmates, faced greater suspicion when problems occurred, and greater surprise from non-Black teachers and students when they got good marks. Racial and cultural inequality in schools reaches beyond the Black population. Students who immigrated to Canada have been found to have a higher dropout rate than students who were born here. And the older a kid was when they arrived in Canada, the less likely they are to finish high school. Aboriginal students have, like Black students, been found disproportionately likely to have been suspended from schools in the Toronto District School Board. A higher proportion of LGBTQ students drop out, compared to straight students. In recent years, several promising efforts to help marginalized students get to graduation have emerged across the province, which should serve as a model for Queen’s Park and Ontario’s school boards. The Toronto District School Board says it has had success through its Model Schools for Inner Cities Program, in which students have access to extra staff, after-school programs, technological resources and field trips. The District School Board of Niagara runs a special school for students whose family members have never been to college or university. As the Star reported last week, students at this St. Catharines academy get the benefit of mandatory after-school clubs and increased interactions with school staff. 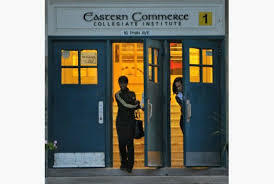 The province and its school boards should take note of the common thread here: that students in these specialized programs, students who are more likely than their peers to be ignored or stifled, get more, and better, opportunities to discover new subjects and take part in new activities. The Star’s Andrea Gordon recently reported the story of Devante Charles, a Toronto teen whose 14-year-old sister was killed in the 2012 Danzig shooting. In earning a diploma from Georges Vanier Secondary School this year, Devante became the first member of his family to finish high school on time. His mother attributes her son’s success in part to the educators who helped him discover and indulge passions for aerospace, electronics and tech design. Whether because of discrimination, violence, poverty or a lack of institutional support, students from marginalized backgrounds face a much harder path toward educational attainment than many of their classmates. It’s well past time for our education system to scale back “streaming” and disciplinary practices that disproportionately affect minority students, and expand programs that have been shown to give students in need a fair chance to learn, discover and grow.